Private company SpaceX has successfully delivered its first payload into orbit. It was the second successful launch for the company, which aims to reduce the cost of reaching orbit by a factor of ten. The launch took place Monday from Omelek in the Republic of the Marshall Islands, 2,500 miles southwest of Hawaii. 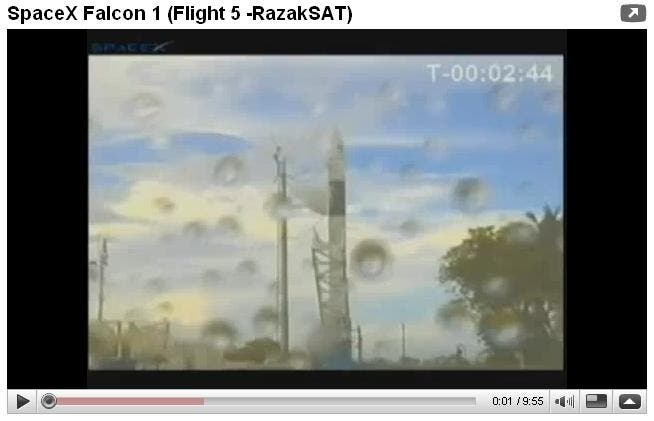 The two-stage Falcon 1 rocket carried RazakSAT, a Malaysian satellite that will be used to monitor natural resources. Later this year, SpaceX plans to make the maiden flight of its larger Falcon 9 vehicle, which has been tapped to carry cargo to the International Space Station starting in 2010.